The Hook, Line and Sinker bachelor party aboard Tuna Hunter yielded a great time for all, and a bluefin tuna in the boat. Gloucester tuna fishing is in full swing now, with bluefin of all sizes Tuna Hunter uses a combination of kite fishing, speed jigs, balloons and sometimes trolling. In short, we have an arsenal of techniques and a ready to use whatever fish are responding to for the day’s conditions. This often means switching things up throughout the day, and using several techniques at once. On the Hook, Line and Sinker success, the bluefin hit a balloon, passing up gorgeous kit bait – go figure. The fish hit on the Matsuura reel, making for a smooth angling experience. The Hook Line and Sinker team reeled the bluefin to the boat, where he measured just legal to take home. 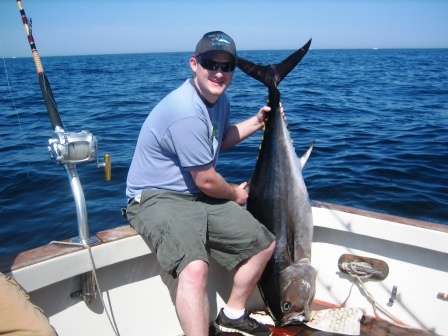 A good omen – land a bluefin and bring home sushi on your bachelor party! Best wishes to Tim and his bride! 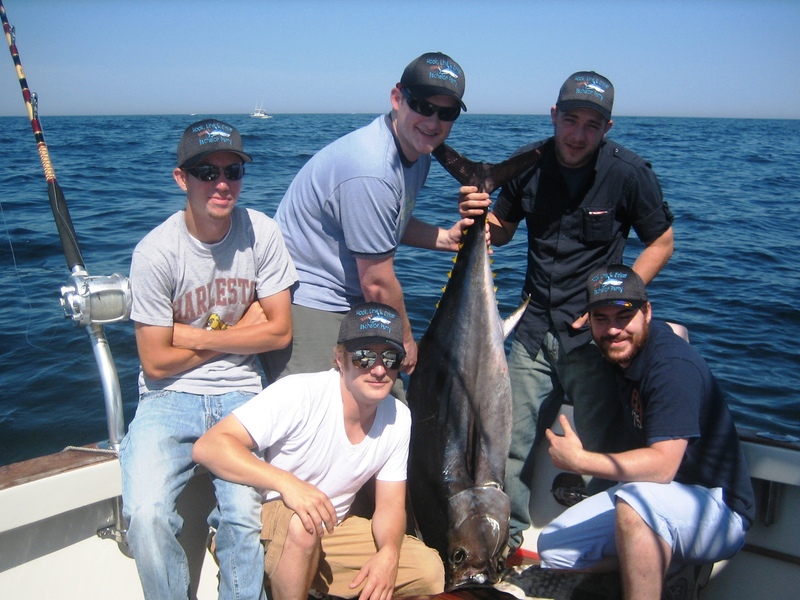 Gloucester tuna fishing will only get better form now through October. Call 978-407-1351 or email captain@tunahunter.com for our latest openings. We look forward to hooking you into a nice Charlie.